When searching on the internet for accommodation, it can be quite a daunting task with many options available, particularly in large towns and cities. So a quick way to get an overview of these many options is to use an online travel website. They can display availability and pricing for many hotels at once, so at a glance you may be able to find something suitable without individually going to each hotel’s website. There are many online travel websites which feature listings for accommodation in Australia and throughout the world, but most belong to either one of two large groups. It is important to realise that searching for accommodation within a specific accommodation group will yield the same results. 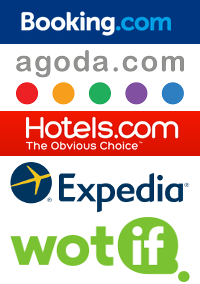 So, for example, search for somewhere to stay on wotif.com, and you will get exactly the same results as if you had searched on expedia.com. What may be different is the layout of the website, the search mechanism, loyalty reward schemes, and the ways guests can get customer support. Between the two major groups listed above, there may be price differences between individual accommodation properties. However, in general, they are limited to special offers or campaign sales. For example, we did a search for a one night stay at a specific hotel in the popular Melbourne inner northern suburb of Brunswick on several websites within these two major groups. For most room types, the tariffs were identical. But within the Expedia group, they were promoting a sale at the hotel of our choice on deluxe queen rooms, which resulted in the nightly pricing dropping from the standard $145 down to $108 on all the websites within that group. Based on that, one could conclude that best way to get the lowest pricing when using online travel websites is to pick one from each of the two major groups and search those. Another option is to use what is known as a meta search engine website. These gather pricing for accommodation through a large number of booking websites and present the combined results. A few years ago, using meta search engines was really the way to go. That was because many of today’s popular online travel booking sites were actually independantly owned and managed, with their own arrangements between suppliers of accommodation. This meant there were many instances of wide variability in pricing and the presence of some hotels across those sites. But in the last few years, many popular online travel booking sites have been bought out by big groups, including Australia’s Wotif which was acquired by Expedia in late 2014. What exists now is basically a duopoly between the websites that are part of Priceline Group and those that Expedia Inc runs. Is this the end for hotel meta search engines? Yes and no. While Priceline and Expedia control many of the world’s most popular accommodation booking sites, there are a few smaller ones out there which are still independant and do offer unique deals, so using a hotel meta search engines can easily sniff these out for you. Australian-based HotelsCombined is an interesting meta search engine. 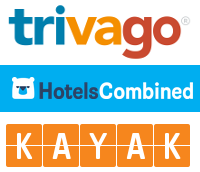 Like Trivago and Kayak, it searches websites belonging to the major online travel groups and combines the results. However, it also has arrangements in place with some hotel chains, like Best Western for example, such that it can get pricing directly from the hotel, rather than through the major online travel websites that the hotel has listed itself on. While this sounds good in practice, it may not actually mean you get a room cheaper when booking direct. There is usually a rate parity arrangement in place which prohibits a hotel from advertising a cheaper rate on its own website than through the major online travel groups that it distributes room availability through.